Tomorrow, Boy in Uniform will appear for sale on Amazon and Smashwords for only 99c! 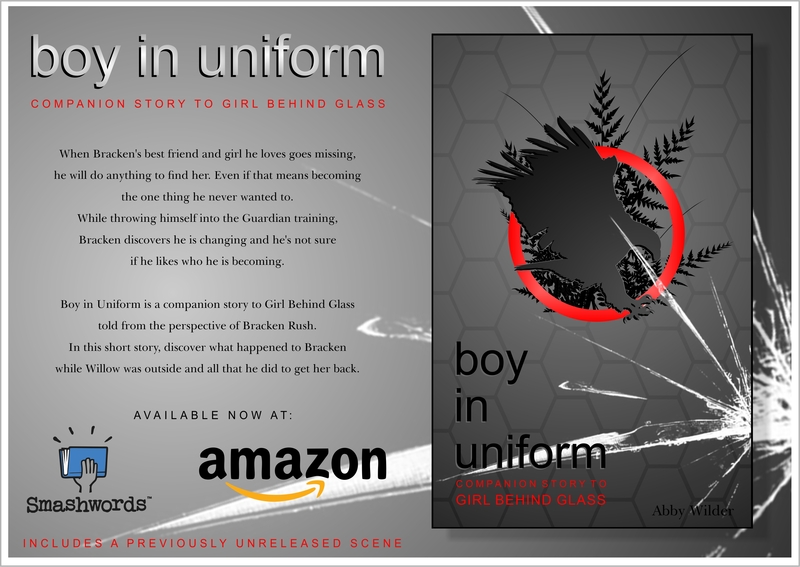 Boy in Uniform is a short companion story to Girl Behind Glass and told from the perspective of Bracken Rush. In it you will discover what happened to Bracken when Willow went missing and everything he did to get her back. I’d love to hear your feedback if you decide to pick up a copy. If you feel like reading it for free, you can do so right here. It is all free to read apart from the exclusive scene that is in the ebook version only.